Take an exploratory walk in the green corridors of Kempshott.. fresh air and gentle exercise, what could be better! To download the West Basingstoke Green Corridors Map go HERE. Alternatively, give local nature a helping hand for an hour or two – join us on one of our work parties – for details see our schedule of dates and locations HERE. 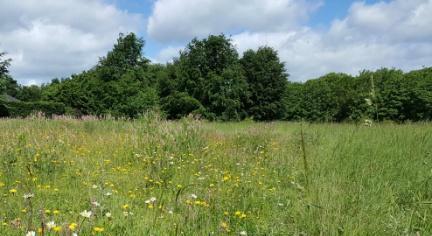 Kempshott Conservation Group manage three sites in and around Down Grange, towards the east of this Basingstoke ward. These sites are run for the benefit of wildlife and nature conservation, but also for the greater enjoyment of nature lovers everywhere. Our members are all volunteers living near to or using Down Grange park. We also manage the community orchard in Kendal Gardens. In case you are not familiar with the area, we invite you to a quick tour under the Sites heading: for what we are doing, when, and why. 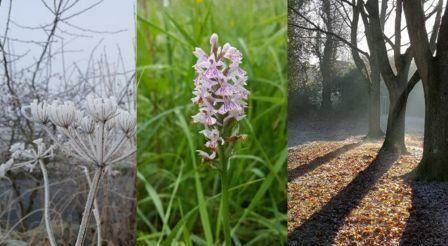 We are a member of Natural Basingstoke which links all the voluntary conservation groups in the borough. More details of these groups which are active in many parts of the borough can be found on the Council’s conservation pages. – Old Down and Beggarwood parks group who also have a website – here. – Friends of Stratton Park who have a website – here. – and Fuzzy Drove conservation group which has a website – here. 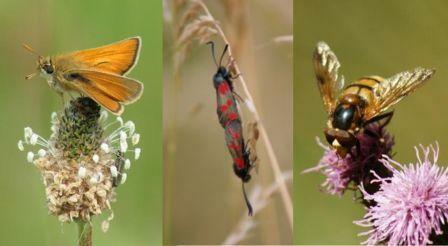 News and discussion from Kempshott wildlife conservation group members.